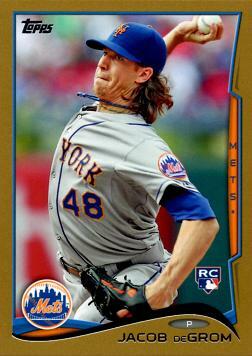 This is an official Jacob deGrom Rookie Card, produced by Topps Baseball in 2014. Serial numbered to 2,014, meaning only 2,014 of these cards exist! 2014 Topps Update Gold #US-50 - Only 2,014 made!